The run of presentations this October continues, and the next stop goes through China. 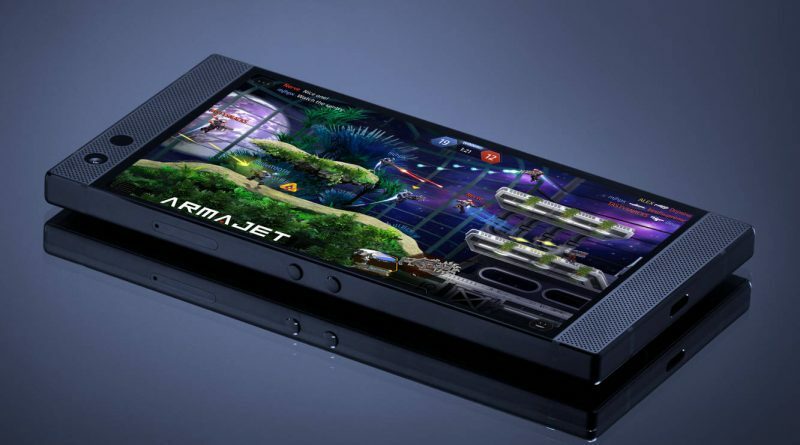 Razer announces today the second generation of its Android smartphone for gamers , the Razer Phone 2, which comes to improve all those weaknesses of its predecessor, inherent in the first mobile phone of a new company in this industry. Now, Razer has learned from his – few, yes – mistakes, and arrives with a slightly more polished terminal, but that continues to stand out for its excessive power, accompanied by a multimedia section full of interesting details, all focused on creating the best experience seen on a mobile when playing. This is the Razer Phone 2. Looking at the design of the phone, it is clear that the changes, at least on the front, are rather inappreciable. Razer has decided to maintain the sober and square appearance of its first model, with very marked upper and lower screen margins , which allow the company to include a large stereo speaker system , which last year proved to be among the best of the market at the level of volume and sharpness. Together However, the rear part changes, and a lot. For starters, we put aside the aluminum of the last generation, to make the leap to glass, which according to the company will help to better dissipate the high temperatures that the phone could reach in long gaming sessions . In addition, a large Razer logoappears on the scene , which hides a customizable Rroma Chroma LED through an application pre-installed in the phone’s software. Resistance to water and dust has also been added under an IP67 certification. One of the aspects that made the Razer Phone a totally unique mobile was its screen. And many will be happy to know that, in this second generation, Razer has again bet on a similar panel, with 5.7 inches diagonal, Quad HD resolution and a refresh rate of 120 Hz to improve the playing experience. On a technical level, one of the most powerful mobile phones of the year could not bet on anything other than Qualcomm’s Snapdragon 845 processor. Next to it, we again find 8 GB of RAM and an internal storage of 64 GB, which can be expanded by microSD up to 200 GB. Fortunately, the 4000 mAh battery does not change either , although Qi wireless charging is added. Finally, the company wanted to make sure that its users will not burn their fingers when spending hours playing Fortnite on their mobile phones , and for that they bet on a new refrigeration system based on a steam chamber, apparently more efficient than the system liquid cooling used in the previous generation. Regarding photography, although Razer knows that it will not be the aspect for which users will opt for their smartphone, the company assembles a rear system consisting of two 12 megapixel sensors , with specifications very similar to those of the previous model.